received a copy of this book via NetGalley in exchange for an honest review. This in no way changes my views or opinions of this book. I love fairy tales, hence why I chose to read this book. The cover is absolutely beautiful and captured my attention immediately. However, the book was unsuccessful in doing so. I was expecting a story, some sort of whimsical fairy tale, even a twisted tale would have been okay. 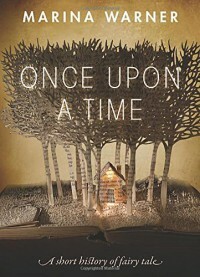 Instead, this book breaks down every angle and reason behind what happens in fairy tales, and dissects them. I wasn’t looking for an informative book, instead, I was hoping for something to get lost in. Instead, I just felt lost.